MediaShout 6 (Site) Free Shipping! MediaShout 6 for Mac (Site) Free Shipping! Churches have unique needs for creating and running presentations efficiently and simply using as few volunteers as possible. It was from this necessity that Mediashout was invented over 15 years ago by our founders and was the first of all church presentation softwares. As the pioneers of this space, we also feel a responsibility to continue create stronger, faster, and simpler designs. MediaShout 6 is the most powerful, user-friendly and feature rich program we've ever made, and knowing this space as we do, we also think its the best in the market. 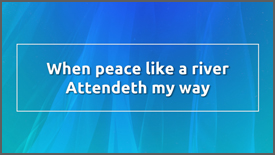 The core features of managing lyrics, Bible verses, and multimedia content are stronger than ever. 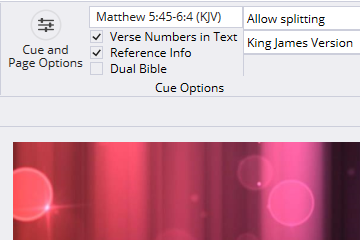 We've simplified and improved the editing interface, added dual Bibles, and even a liturgy manager. Explore all of what MediaShout 6 has to offer, or start a free 30-day trial to see for yourself. Over 6Gb of some of our best media from our Media Store producers for FREE! Best of all, its branded with our logo so you will always know what's on there. Provides new design possibilities that allow you to add a border or background color to any text object. Clears the Main Object from the screen but leaves the background - great for unplanned instrumental breaks during songs. A new way to relink files when you have more than one Cue that is missing media. Gives you information about the current Script. 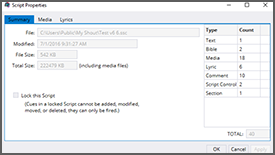 What's New in MediaShout 6? 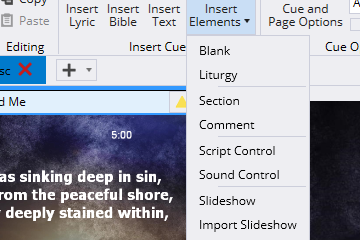 No other church presentation software includes an inline editor. Now you can edit cues and slides from the preview window, eliminating the need to open another window just to edit. 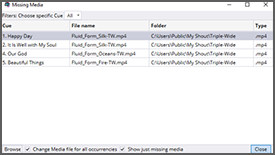 MediaShout 6 was redesigned to be simpler and more intuitive to use. This includes a responsive ribbon bar, inline editor, and theme options. We believe it is the best interface available. This powerful tool allows you to easily generate exportable reports that show which songs were used during services for a given date range. The exported file can then be used to properly report your usage. 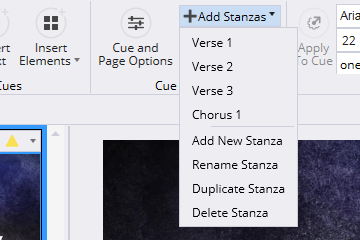 You can now manage liturgy content as easily as you can song lyrics or Bible verses. 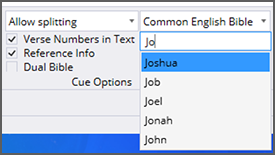 This special tool includes features to easily handle call and response text, as well as save them for reuse later. After choosing the Bible reference you want to display, you can select two different translations that will automatically be shown side-by-side. This is great for teaching situations or for multi-lingual audiences. 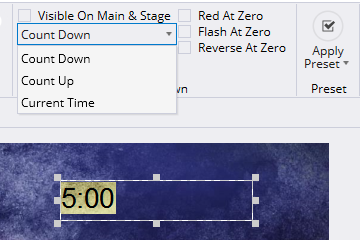 ?You can now select either ?a light or dark theme ?to? the MediaShout interface? control?. This gives you the ability to adjust to the surrounding light to make MediaShout easier to view. MediaShout 6 supports multi-display set ups. You can control what shows up on each display or spread content over all outputs (up to 3). There is no additional fee for this feature in MediaShout 6. You can hide or show only certain parts of your display using simple-shaped masks or more complex masks. This makes MediaShout 6 great for use in Environmental Projection setups. Choose the song and MediaShout creates the slides for you. Comes with 2,500 public domain songs or import from CCLI's Song Select. Simply choose the book, chapter, and verse from the 67 included versions of the Bible and MediaShout will create the slides for you. MediaShout plays video (multiple codecs), DVDs (from any point), mp3s, CDs, aiff files, wav files, still images, and even websites. With this tool, MediaShout will automatically display the announcements you want in a given week, and skip the ones you don't. If someone on your team still uses Powerpoint to create their slides, you can easily link to the file and play it back from inside MediaShout. Sync worship songs to lyrics and simply press play to listen and sing along. Great for extending worship teams .Learn more about this app at WorshipBandinHand.com. If you're upgrading from MediaShout 5, you can migrate any or all of your data and settings, including Lyrics, Installed Bibles, Announcements, Presets, Templates, and more. MediaShout 6 is redesigned to now be simpler and more intuitive to use. This includes a responsive ribbon bar, inline editor, and theme options. Clean, simple, familiar. Unlike Powerpoint, MediaShout's Cues contain multiple pages. 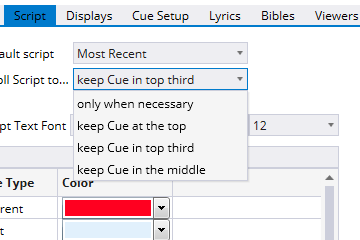 You can change all the pages in a Cue at one time. This makes editing much faster and simpler. Much like Powerpoint you can control each object on a page and animate it's entrance or exit by simply pressing the space bar. We're fully integrated with CCLIs SongSelect, so you can easily import any song in their database directly into your presentation. MediaShout works with Planning Center Online, an online worship planning and volunteer management site at get.planningcenteronline.com. Sync worship songs to lyrics and simply press play to listen and sing along. Great for extending worship teams. 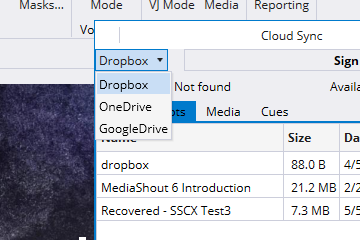 MediaShout is integrated with Dropbox. You can access, edit and share files with your media team over the web in real-time. 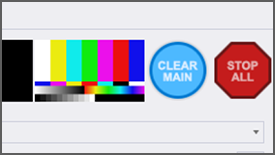 MediaShout's interface is very customizable. Make sections bigger or smaller and save as customized workspaces, so each user can easily have the set up they want. Other software may only provide a single viewer window limited the usability of the workspace, but with MediaShout 6 you can set up to 8 different viewers. For the first time you have the choice of a light or dark theme to the MediaShout interface. Making MediaShout easier to view based on surrounding light. Volunteer Mode is a simplified interface option that when turned on gives your volunteers a stress free way to run a presentation without access to edit settings or content. MediaShout 6 supports multi-display set ups. You can control what shows up on each display or spread content over all outputs (up to 3). There is no additional fee for this feature. The MediaShout 6 interface has been translated for use in the Spanish language. All menus, buttons, and instructions have been translated for easy use. MediaShout 6 se traduce para el uso en el idioma espaol. Todos los mens, botones, y las instrucciones han sido traducidos para facilitar su uso. Unlike Powerpoint, the control display and main display are on seperate screens, allowing you to add or edit during a presentation. Presentations are called Scripts in MediaShout. You can have multiple Scripts open at one time and tab between them while live. MediaShout works with USB wireless remotes as well as a custom MediaShout iOS app that is available from the App store. This powerful tool allows you to easily generate exportable reports that show which songs were used during services for a given date range. The exported CSV file can then be used to properly report your usage to CCLI or another reporting service. You now have control over printing from MediaShout 6. You can change the size and number of columns per page, how many lines of notes to include, or whether to include thumbnails. Plus a option to leave room to write handwritten notes.